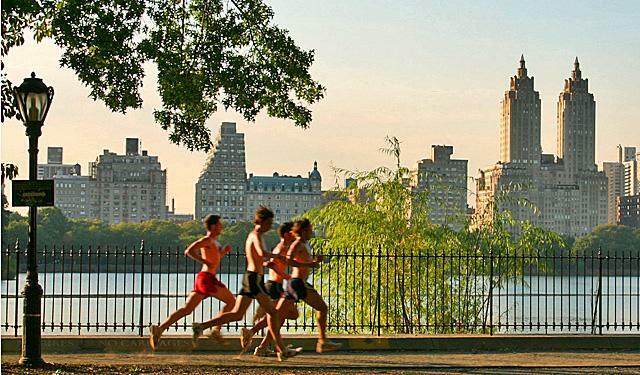 Jogging in Central Park, New York City, USA. Gruban / Patrick Gruban. Wikimedia. There’s something (somebody?) missing in this ideal picture of a warm sunny morning, the crucial part – me. BUT – as morning/evening jogging is not going to be just a perfect image for me to couch-potato over – with this picture visualized in my mind, I’ve twice gone jogging by now) Which is a STEP. As there has already been this fearful second time. I enjoyed my morning jog. Luckily, I have a wonderful green neighbourhood – it is possible in Moscow, yes! Larger than Central Park. No shadow-casting skyscrapers. Mummies, dogs and their owners, fishermen, old couples -that was sweet! Refreshing, exciting and positive – that was a Good Morning! After 4 months of various misfortunes I’ve finally grown ripe the idea of turning my life to normal, no – back to ACTIVITY from idleness. This Blog is a certain step, or I’d rather say the starting point for this Way to Health, Wealth and Success and what-best-not. With fingers crossed – already drafting the next post!